The Chinese zodiac sign Ox describes the personality of people born in the years 1913, 1925, 1937, 1949, 1961, 1973, 1985, 1997 and 2009. People consider individuals born in the Chinese sign Ox being calm and levelheaded; therefore, they will not become thrown off balance too easily, but they will just move possible barriers aside. While doing so, they will always keep an eye on their goals and will be very diligent and enduring in order to achieve these goals. This unshakeable persistence for pursuing certain goals that these people always show is surely the greatest strength of individuals born in the Ox Chinese zodiac sign. People born in the Chinese zodiac sign Ox will always believe in themselves and will never give up too soon. Whoever is born in the sign of Ox always tries to divide everything in positive and negative categories in order to keep their inner balance. These people will set themselves very high standards as benchmark for their actions and will hold on to them. However, while doing so, they tend to fairly soon condemn other people whose own standards are not as high as their standards. People born in the Chinese zodiac sign Ox are often considered being stubborn. The reason for this behavior is that it is very hard for them to accept criticism and will then just “switch to stubborn” and will shut themselves off to their fellow people. Generally, Ox people will not feel very comfortable in the company of other people and will only visit events or parties if they have to. People born in the Chinese sign Ox are generally very calm and balanced. However, if people provoke them long enough, they are able to react very impulsively. People born in the Chinese zodiac sign Ox are quite calm and considerate personalities who put high importance on honesty. They go through life patiently and while doing so, they show a great deal of kindness. Individuals born in the sign Ox are faithful companions for their partners and for their friends, too. Ox people are very attentive and generous and like to pamper their loved ones. People born in the Chinese zodiac sign Ox have a strong will, show a high amount of endurance and determination and will pursue their goals and tasks sometimes with an almost incredible persistence. Ox people never shy away from even the hardest work and will always lend an energetic helping hand. For people born in the sign of Ox everything has to be in order, therefore punctuality is very important to them. In general, Ox people have very conservative basic attitudes, therefore financial security plays an important role for them. Like all other people and zodiac signs, people born in the sign Ox have some weaknesses. They are considered to be rather stubborn and bullheaded, because they like to prevail over other people, therefore they may be also very bossy and obstinate. Even though people born in the sign Ox focus on security in their lives, they will sometimes act very inconsiderately, which is owed to their surprising blind confidence. Individuals with the Chinese zodiac sign Ox generally like to have command and see themselves as leaders. Ox people are very skeptical concerning alterations and are therefore often not as flexible as would be necessary in certain situations. People born in the zodiac sign Ox can very easily lose control when provoked. Then it could happen that they will have their own way regardless of the consequences. People born in the sign of Ox are considered being very conservative and this is also influencing their finances and their professional life; they always want to be on the safe side and do not like to take unnecessary risks. Especially in the financial field, they pay attention that they always have some money to spare. They will not spend money senselessly, because they are much too sensible and thrifty. Therefore, people born in the Chinese zodiac sign Ox are considered to know more about money and capital investments than many a banker. 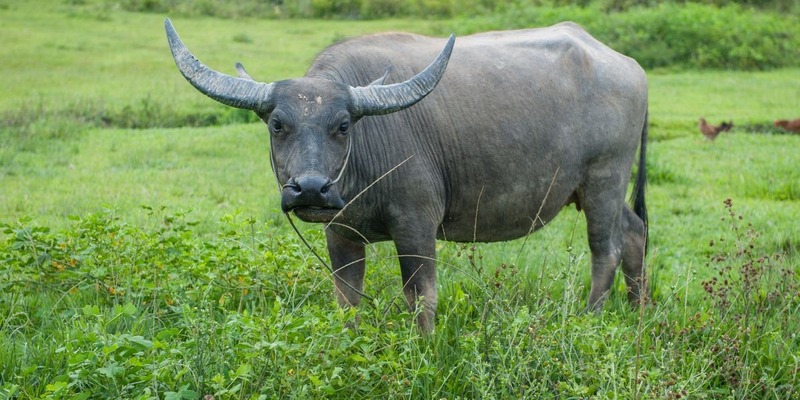 An ox does not show any understanding for people who spend their money carelessly and consequently need financial help, and they will not be prepared to support such people. Ox people only make an exception for the people they love, because they want them to be taken care of well. In their professional life, people born in the sign Ox are very responsible and, to the pleasure of their colleagues, they are very reliable. Very often, Ox people will turn out to be excellent managers who will demand performance but will always support their employees and help them out energetically if needed. People born in the sign of Ox, know exactly what they want in their professional life, too and will therefore generally become very successful in their job. Ox people like best to work in jobs, which are demanding and where they can show their performance. However, it is important to give these people certain degrees of freedom and enough opportunities for self-determined work. However, people born in the sign of Ox are very stable and are tolerant, generous and very caring towards their partners and they will turn a blind eye on things their partner did not very well. People born in the sign of Ox are also in love matters very conservative and therefore, they do not have a pronounced sense for romanticism. However, they are very honest, very faithful and very attentive and therefore, their partners will be happy to have them as a partner. People born in the sign of Ox will show their feelings very directly and sincerely and they will always strive to convince their partners of their sense of responsibility and their reliability. At the same time, Ox people can surprise their partners with their softness and sensuality with which they devote themselves to their partners with great tenderness. However, people born in the Chinese sign of Ox do not like negative surprises, especially as far as love is concerned. They can bear and suffer a lot, but they will always try to keep stress away from them and their relationship. For people born in the Ox Chinese zodiac sign, no matter if men or women, it is very important to be treated with respect within their relationship. The reason for this is their moral and traditional life attitudes and with their expectations connected with these attitudes. The most suited partners for a relationship with people born in the Chinese zodiac sign Ox are the zodiac signs Snake and Rooster. If an Ox and a Snake fall in love with each other, their relationship could turn out to be stable and long lasting. A Rooster and an Ox will also match together perfectly. The Chinese zodiac sign Goat will not match as well with the Ox, because the differences between these two partners are very big and therefore, this constellation will not really turn out well in the on a long-term prospect.